Dr. Eggman (aka Dr. Robotnik) is searching for the Chaos Emeralds to fuel his new Death Egg engine. Any gamer worth his or her salt will remember the day Sonic 2 was released. Cheekily dubbed 'Sonic Twos-Day' (it was released worldwide on a Tuesday, you see) it became a massive seller for Sega and cemented Sonic's position as one of the most popular videogame mascots ever. Despite some unkind words at the time of release (UK magazine Gamesmaster gave it a very negative review, saying it was 'too much like the original'), public response was positive and most fans agree that this is the finest game in the series. The addition of the chargeable 'spin attack' really opened up the game, a split-screen two player mode granted additional replayability and graphically Sega managed to top the already-impressive first title. Also, who could forget that amazing bonus level? The selection of stages is also inspired, as are the stunning boss battles. 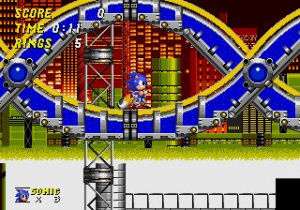 Although it can't hold a candle to Nintendo's SNES classic Mario World in terms of depth, Sonic 2 gives a more exciting experience - the levels are designed perfectly, allowing you to exploit the super-fast speed of the lead character without sacrificing the all-important exploration side of things. Sadly, Sega and Sonic Team would never match the level of brilliance seen here and the blue hedgehog has become a bit of a joke in recent times thanks to a string of lacklustre titles. But forget all that - now is as good a time as any to enjoy what remains Sonic's finest hour! It's a shame that nothing has matched Sonic 2 in terms of level length (not too short or long) but I still enjoy the other Sonic games from this era . This game looks so good you might think its running on the SNES hardware. Excellent game and a must own! Great to see that you recognised this as the best Sonic game out of the 3 2D Mega Drive platformers. This one was one of my childhood gaming highlights, and is still a gaming highlight for me now. 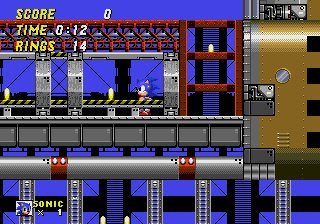 IMO this is the 2nd best sonic side-scroller, only being beat by Sonic CD. I disagree. This is much better than Sonic CD. Hah! 9/10!! Take that Sonic 3 fans!!!!! This is the best entry in the classic Sonic series. This or Sonic & Knuckles. And by the way this shouldve gotten a 10, imo. My favorite Sonic of all time! 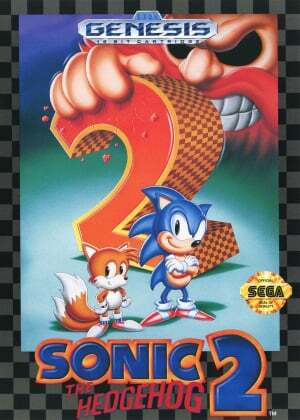 WAY better than Sonic 3! I always loved this game's boxart as a kid, lol. I beat this game FOR THE FIRST TIME about three days ago. I feel so accomplished. The final boss fight of this game is so ridiculously hard and unfair, it's a wonder anybody likes this game at all. Oh well, at least the last several levels aren't full of enemies that pop up on the screen without warning and then hit you before you can do anything about it. Oh wait. Why was this game considered good again? It's less fair than Ninja Gaiden for the NES. @Nintendolife Why u no give this game a 10?!?! ?